'MLM' The American Dream Made Nightmare: 'Lyoness/Lyconet' racket identified by UKIP MEP, but not the wider 'MLM' phenomenon. 'Lyoness/Lyconet' racket identified by UKIP MEP, but not the wider 'MLM' phenomenon. Over the years, I have published several evidence-based articles warning that the organisation known as 'Lyoness' (a.k.a. 'Lyconet') which was instigated in Austria by Hubert Freidl and his criminal associates, has been the front for a blame-the-victim 'Income Opportunity/Prosperity Gospel' cultic racket, comprising a dissimulated rigged-market swindle and related advance fee frauds. It should go without saying that no one has produced any independent evidence to challenge the accuracy of this fully-deconstructed analysis. Furthermore, I have taken great pains to explain that the 'Lyoness' racket is neither original nor unique and that, consequently, it cannot be fully-understood in isolation. If readers click on the Orwellian propaganda videos linked above (particularly the stomach-churning hymn to 'The Miracle Lyoness'), they will discover that, in order to push them into a delusional state, 'Lyoness' core-adherents have been subjected to co-ordinated devious techniques of social, psychological and physical persuasion, designed to shut down their critical, and evaluative, faculties without their fully informed consent. In simple terms, 'Lyoness' core-adherents are adults who have been tricked into accepting fiction as fact. Classically, the construction, and maintenance, of this Austrian-based, abusive human edifice, has been entirely-financed by its deluded victims' own contributions. Indeed, pay-through-the-nose-to-enter 'Lyoness Sensation' orgies of deluded self-gratification (like the one featured in the videos) have already generated many thousands of ticket sales - netting many millions of Euros for Hubert Freidl and his criminal associates. Twice last year, I was contacted by 'J.T.' - a British Blog reader with urgent concerns about 'Lyoness' recruitment in the UK Independence Party. 'J.T' sent me various explanatory links (see below). 'At my first NEC meeting, the NEC was pitched the Lyoness shopping card by a UKIP member and a business partner of our Deputy Treasurer Peter Jewell. We were told this would be a great money maker for UKIP. I understand that this was not the first time this shopping card was pitched to the NEC, nor the first time the NEC rejected the pitch. The way the card works is the Party signs up our members, they get issued the card, they use the card at shops to buy groceries, and the Party gets a commission on any of their spend. And the man who introduced the card to us also gets a commission – but he didn’t tell us this until we asked him. I don’t know whether Peter Jewell also benefits from this financially, or not. The scheme is a pyramid scheme. The NEC did some research on this card and decided joining the scheme carried far too much reputational risk and that it was not something we wanted to recommend to our members. We also flagged up that we were effectively being asked to market financial services to our members, which was potentially an FCA regulated activity. So even if we had decided to approve the scheme, we would first need to get legal advice as to whether we required an FCA licence and then possibly to obtain such a licence. What would be the expected revenue from such a card, and how does it compare to the cost of getting such legal advice and possibly obtaining such a licence? Despite the NEC’s rejection of the scheme, we got wind of the fact that Peter Jewell was planning to nevertheless market the scheme at the chairmen’s conference on 30 July, because someone had forwarded the agenda for the latter event to some NEC members. The NEC passed a motion saying that the scheme shall not be promoted at UKIP events, and shall not be promoted by UKIP officers to UKIP members, and that a violation of this ban shall automatically be considered to have brought the Party into disrepute. The Party Treasurer was instructed to communicate this to the Deputy Treasurer, which he advised us he did (and the Party Chairman advised us he did the same) but not before frantically proposing a motion, which he heavily lobbied for, that we should reverse our earlier decision and adopt the scheme – a motion which the NEC also rejected. Regardless, I received complaints from members saying that Peter Jewell did promote the scheme at the conference despite the NEC ban. I received a photograph of the Lyoness stand taken at that conference, and witness statements from members confirming that the scheme was being marketed at the conference, that Steve Crowther was on the podium when Peter Jewell talked about the scheme and said and did nothing (despite being aware of the NEC ban). I challenged the officers on this, and was forward a reply purportedly from Steve Crowther saying he had received no complaints about the marketing of the scheme, only questions from members at the conference as to why the NEC would be so daft as not to approve it. Now consider the possibility that such marketing of financial services is an FCA regulated activity – a question I tried to answer by reading the FCA handbook myself, but which without legal advice, I have not yet been able to answer – then the Party might have engaged in a licensed activity without a licence. I know someone on Sark who is currently serving an 8 year sentence in jail for doing exactly this. Who do you think is responsible for ensuring compliance and carries the legal risk and liability? If you answered “the board of directors”, you answered correctly. One of the 20-25 questions I asked to be addressed at the September 2016 meeting by the Party Chairman was also what was being done about this marketing in defiance of the NEC ban. I received no answer, except verbally on the phone from the Party Chairman saying that Peter Jewell did not promote the scheme at the conference. Er, what about the photographic evidence and the witness statements from members saying the contrary? Why would attendees of the conference pull this idea out of thin air that some scheme called “Lyoness” was being promoted at the conference if in fact nobody had mentioned the scheme and its name there? To add insult to injury, because this promotion was being done without the approval of the NEC, I can only assume that the Party would not be receiving any commission arising from it, but the promoters likely still would. The Lyoness example is a perfect example of the relationship between the Party Officers and the NEC and the impotence of the latter. What action could we take against the Deputy Treasurer? Remove him from office? This is the prerogative of the Party Treasurer. Take disciplinary action? There are two routes to this – emergency action under Article 11.9 of the Constitution, which is the sole prerogative of the Party Chairman. And the regular Disciplinary Panel route under Article 11.3 of the Constitution – which is entirely under the control of the General Secretary. I know of one party member (more on this below) who has been waiting for an Emergency Disciplinary Panel appeal for 8 months, and a disciplinary complaint which has been waiting for 6 months to be heard by a Disciplinary Panel. There is however something more insidious. It is called ‘Pyramid scheme’, and where a Ponzi scheme is, crudely described, about getting more and more people to invest their money in some sort of product so that returns can be paid to earlier investors, a Pyramid scheme explicitly relies on people recruiting more people, else they won’t be getting their pay-out. Running Pyramid schemes is illegal in our country. There’s one recent entity called ‘Lyoness’, which was set up in Austria and has spread. Do read the whole wikipedia entry! It is controversial, and authorities in various countries are investigating. So in general, one would counsel one’s friends to be extremely careful and to think twice about joining such set-up. “Some time ago, a party official introduced the Lyoness scheme (specifically see this) to the NEC with a proposal that the Party join the scheme and officially promote it to our members. The Party was told we would earn a commission. Upon interviewing the introducer, the NEC discovered that he was also going to earn a commission, which prior to our questioning, he had failed to disclose to us. We also performed our own due diligence on the scheme and decided to reject it. The Wikipedia page and the reference links on that page will give you a good indication as to why we reached such a decision. “We became aware that the party official in question intended to promote the scheme to Party members at official UKIP events despite the NEC’s rejection of the scheme. The NEC resolved that “Lyoness shopping card shall not be promoted at UKIP events or by UKIP officers to UKIP members, and that such promotion in breach of this motion shall be deemed to be bringing the Party into disrepute“, and the Party Treasurer was directed to inform the official in question of this resolution of the NEC. “I understand that at the UKIP chairmans’ conference yesterday, the official in question apparently willfully defied the resolution of the NEC and promoted the scheme to branch (and other level) chairmen regardless, apparently with the intent that the chairmen promote the scheme to their members. A member of UKIP is promoting a scheme to UKIP and UKIP branches which is as close to a Pyramid scheme as possible, and which is under investigation in various countries. That is clear enough, isn’t it! At this time, when we are entering the hustings for a new UKIP Leader, and when so many of us are working hard on proposals and ideas on the way forward for UKIP, we cannot afford even the hint of a financial scandal. Furthermore, it is unconscionable to expose ordinary members to possible financial liabilities when so many branches cannot even afford to field candidates in upcoming local and by elections for want of funding. If there’s one lesson we all have learned over the last few years it is that UKIP must be whiter than white, because the hyenas in the MSM and establishment parties will use everything to stop us. What would be better than a financial scandal. It’s not just that members could become personally liable, it’s that all who get taken in would knowingly bring the Party into disrepute. Information is the only way to prevent this, so please convey the warning and the motion of the NEC to our branch chairmen and our members by using this article: link to it, print it, hand it around as a matter of urgency! 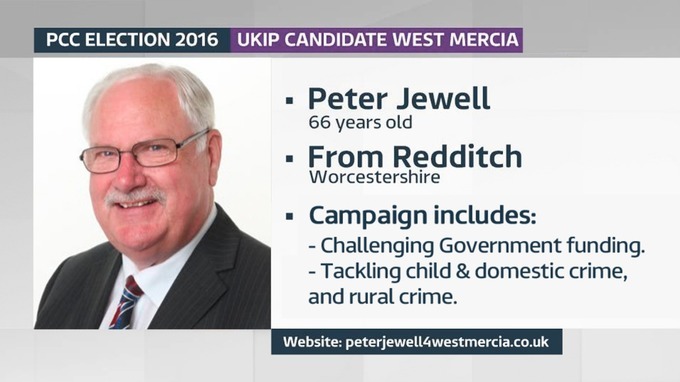 The official who (hopefully in total ignorance of reality) tried, but failed, to persuade the members of UKIP's NEC to help him drag the Austrian-built 'Lyoness' Trojan Horse inside their party, was Peter Jewell, the (then) Deputy Treasurer. However, in December 2016, again with an irony close to exquisite, Mr. Jewell was appointed as UKIP's Justice Spokesman. That said, since the spring of 2018, Mr. Jewell has been removed from that position, but he remains a party member. The man described by Dr. Tomasz Slivnik as Peter Jewell's '(Lyoness) business partner,' is Neal Radford ( b. 1957, a former professional cricketeer who played for England). Mr. Radford is a UKIP member who has been involved with the 'Lyoness' racket since 2014. Apparently, Mr. Radford is still an active 'Lyoness' recruiter. The appointment of Mr. Jewell as UKIP Justice Spokesman was even more surprising in view of the fact that in October 2016, another 'Lyoness' warning (in the form of a report), had appeared on the Internet bearing the name of Stuart Agnew (a UKIP Member of the European Parliament and the party's agriculture spokesman). Much of this report was taken from a factual Wikipedia article which was compiled by an associate of mine. Blog readers should note that any attempt to post accurate analyses of 'Income Opportunity/Prosperity Gospel' cults on Wikipedia have been systematically blocked by the cults' own propagandists under the Wikipedia's own blanket rules. These rules take no account of the concept of a duty of care, and prohibit 'personal opinions.' In truth, in respect of cultic rackets, wit and common sense have been banned from Wikipedia allowing the pernicious 'MLM' fairy story to be recited there without qualification or irony. The reason why I have waited until now to post an article about the infiltration of UKIP by the 'Lyoness' racket, is that for the last several months, I have been corresponding (off and on) with Stuart Agnew MEP. Although he has privately accepted my analysis of 'Lyoness' as being broadly in agreement with his own opinion of the organisation, so far Stuart Agnew has refused to accept my wider-analysis of the 'MLM' phenomenon (see below). That said, I'm not sure that this MEP has actually examined the evidence I have sent him, let alone my analysis of it. Instead Stuart Agnew has had the 'MLM' fairy story recited to him by a handful of persons who have previously been transient adherents of the 'Amway' racket in the UK (including a former 'Amway' shill). To be fair to Stuart Agnew, he has tried, but failed, to locate core 'Amway' victims in the UK. Unfortunately, even if he had managed to make contact with such persons, he would not have known what questions to ask them. Indeed, in his most recent e-mail to me, Stuart Agnew has implied that persons who have lost money in 'MLM income opportunities' must be victims of their own 'greed and vanity.' Regular Blog readers will recognise this as a chapter of the blame-the-victim 'MLM' controlling narrative. As far as I'm aware, to date, no responsible official of the UKIP party has made any attempt to protect the UK public by contacting the mainstream media about 'Lyoness' or by filing a complaint against 'Lyoness' with any agency of law enforcement either in Europe or the UK. If I'm wrong about this, I invite UKIP officials to write to me (at axiombooks@wanadoo.fr ) to set the record straight. Fascinating stuff David! Thanks for posting. Same reaction as a family isn't it? No family member is going to file a complaint about a Bot family member and no party member is going to file a complaint about a Bot party member. If MLMs are all frauds, why do so few victims come forward and complain? Part of the answer to this question is in the insightful observation you have made. Most 'MLM' adherents have been recruited by a friend or relative, and in turn, they have tried to recruit their own friends and relatives. Thus, in order for them to face reality and file a complaint that they have been defrauded, 'MLM' adherents would first have to admit that they have been defrauded by a friend or relative, and that they have tried to exploit their own personal relationships based on love a trust, and commit fraud themselves. It is interesting to note that in the internal complaint that he posted for UKIP members to read, Tomasz Slivnik did not consider the option of going to a law enforcement agency to complain about 'Lyoness' being a fraud, even though he openly states that it is a pyramid scheme. Yet, the UKIP party's Deputy Treasurer had been committing fraud (whether or not he was aware of that fact) and Tomasz Slivnik was one of several UKIP party officials who realised this and tried to stop him, but Jewel refused to take notice of them and he continued to commit fraud. Furthermore, the perfectly natural, but nonetheless amoral, reaction of UKIP party officials to the 'Lyoness'/Jewell scandal, was how can we hide it, not how can we expose it. Having said all that (despite what it says in the documents I re-posted) it is entirely possible that Tomasz Slivnik or other UKIP party officials privately considered reporting, or even reported, 'Lyoness' as a fraud to UK law enforcement agencies, but so far, I've not been able discover what really happened. Mr. Slivnik first said "Lyoness is a pyramid scheme," but then he speculates that if UKIP had become involved with Lyoness, then UKIP would have been "selling financial services without a license." Anonymous - I think you will find Mr. Slivnik is actually Dr. Slivnik and that he holds various academic qualifications in mathematics. In my opinion, when he referred to 'financial services,' Tomasz Slivnik was only looking for convenient rational argument to block UKIP's NEC from even considering entering into any form of contract with a company peddling a pyramid scheme. Thus, Tomasz Slivnik cleverly suggested that even if a business arrangement with 'Lyoness' could bring money into UKIP coffers, such an arrangement would require UKIP to seek expensive legal advice as to whether the party needed to obtain a financial services license, all of which would very probably result in UKIP making either a net-loss, or very little, on the arrangement. Dr. Slivnik probably thought that this was the easiest way to put a stop to the 'Lyoness' fairy story, but again, so far, I've not been able to discover what really happened. Peter Jewell can have no excuse, all he had to do was Google Lyoness. By the same logic, all anyone has to do is Google: 'Amway', 'Herbalife', 'Forever Living Products', 'USANA', ARIIX', 'NuSkin' etc., and then ask himself /herself: what would be my reaction if a member of my own family got involved with one of these groups? Remember Trev, once you fall under the control of one of these 'Income Opportunity' cults, it becomes impossible to accept the truth, because the truth is systematically excluded as 'negative' by these groups' controlling scenarios. Right now, I don't know if Peter Jewell is/was a deluded core-adherent of the pernicious 'Lyoness' fairy story. Up until quite recently, he was certainly trying to peddle it as reality. Furthermore, I haven't been able find any recent public comment explaining these shameful matters from Peter Jewell. Given the mountain of information that is available on the Net, if Peter Jewell still sincerely believes 'Lyoness' to be an entirely lawful enterprise (offering a viable 'income opportunity'), then he's probably far too stupid to be held to account. Again, if I'm wrong in any way about this and Peter Jewell now accepts reality, I would invite him to contact me to set the record straight. Thank-you Anonymous. There was even more to one of these 'Lyoness' local council, political-infiltration episodes than was reported in these links. Why are foreign pyramid scheming companies like Lyoness allowed to operate in the UK? Might I suggest that any UK citizen reading this article, writes to his/her member of parliament and asks the same question. Wow! Lyoness "sensation" screaming fans, flags and uniforms looks like a Nazi rally rock concert. Anonymous - You are not the first person to make that observation, but it remains unthinkable to many people. Like all 'income opportunity' cults, internally the structure of 'Lyoness' comprises pyramids of initiation (into a secret knowledge) and obedience (in a para-military hierarchy). Just like those of 'Lyoness,' the 'Nazi' bosses raised vast sums of capital via the peddling of publications, recordings, tickets to meeetings, etc. Ultimately, the quasi-religious fairy story (of a future secure Utopian existence on Earth) that has been peddled by numerous 'income opportunity' cults, is essentially the same as that peddled by the Nazis. It is interesting to note that the 'Nazis' also ran vast financial frauds. Do you think that MLMs could be ever be outlawed David? Anonymous - Fraud is already supposed to be outlawed, but the sad truth is, we are sinking in an ocean of fraud whilst law enforcement agencies are swamped with complaints (most of which cannot be investigated). The time to have stopped the 'MLM lie was before it grew to such a size that the truth lurking behind it, has become almost unthinkable. - how many persons in total have signed contracts with them since their so-called 'opportunities' were first instigated. - how many 'MLM' contractees have remained active for more than one year, two years, three years, four years, five years, etc. - what lawful reason could possibly exist for keeping this key-information hidden from all previous, and new, contractees.